Free your Dragon Soul in the FULL COLOR hardback edition Each page and image is printed in vibrant colors. 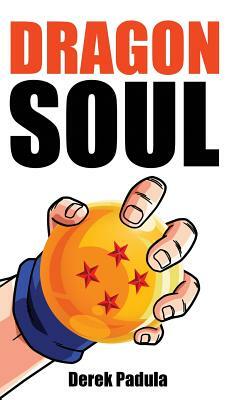 Dragon Soul: 30 Years of Dragon Ball Fandom is an entertaining, inspirational, and enlightening celebration of the world's greatest anime and manga's 30th anniversary This book features 27 stories from professionals who created Dragon Ball, 81 stories from Dragon Ball fans in over 25 countries, 600 images of original artwork, collections, and cosplay, plus exclusive interviews, insights, and heartfelt tales about Dragon Ball's power to change lives. Together we will go on a global adventure in search of the 7 dragon balls, as we head west toward Japan. Along the way we'll meet such famous fans as Lawrence Simpson (MasakoX) from Team Four Star, Malik from Dragon Ball New Age, Salagir from Dragon Ball Multiverse, MMA fighter Marcus Brimage, YouTube celebrities SSJGoshin4, Nelson Junior (Casa do Kame), Happy Console Gamer, and film critic Chris Stuckmann, famous cosplayers "Living Ichigo," Atara Collis, and Jah'lon Escudero, the creators of Dragon Ball Z: Light of Hope, Twitter star @Goku, authors Patrick Galbraith, Nestor Rubio, and Vicente Ramirez, and dozens more.